The Aransas Project (“TAP”) sued the directors of the Texas Commission on Environmental Quality (“TCEQ”) under the Endangered Species Act ("ESA") alleging among other things that water permits issued by TCEQ caused the deaths of endangered whooping cranes. On June 30, 2014, the U.S. 5th Circuit Court of Appeals disagreed with TAP and held in favor of TCEQ in Aransas Project v. Shaw. Surface-water capture and use is regulated by TCEQ. TAP asserted that TCEQ's water permitting and regulatory practices had led to private parties’ withdrawing water from the San Antonio and Guadalupe rivers, in turn leading to a significant reduction in freshwater inflow into the San Antonio Bay ecosystem. That reduction in freshwater inflow, coupled with a drought, led to increased salinity in the bay, which decreased the availability of drinkable water and caused a reduction in the abundance of blue crabs and wolfberries, two of the cranes’ staple foods. According to TAP, that caused the cranes to become emaciated and to engage in stress behavior, such as denying food to juveniles and flying farther afield in search of food, leading to further emaciation and increased predation. Ultimately, this chain of events led to the deaths of twenty-three cranes during the winter of 2008–2009. The whooping crane is listed as an endangered species under the ESA. The ESA applies to all “persons,” including “any officer, employee, [or] agent, . . . of any State.” 16 U.S.C. § 1532(13). 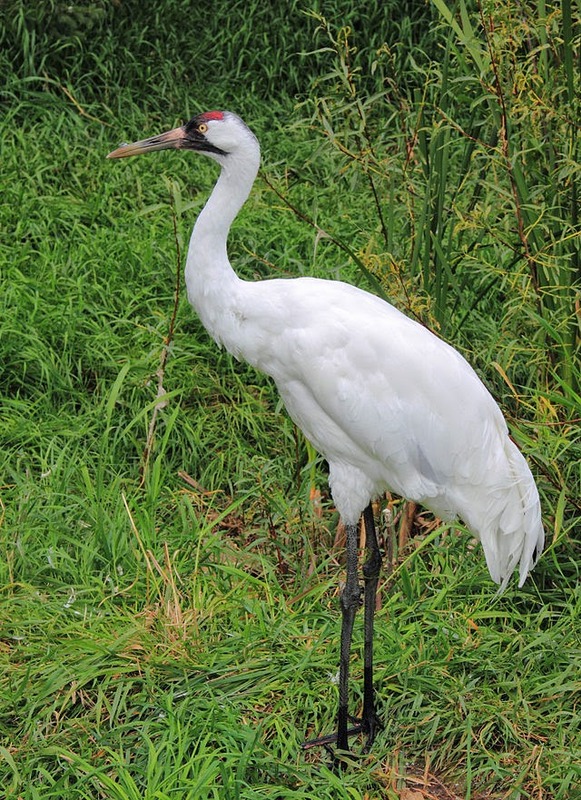 The Act forbids “takes” of endangered species such as the whooping crane. Id. § 1538(a)(1)(B). “The term ‘take’ means to harass, harm, . . . wound, [or] kill” protected species. Id. § 1532(19). “Harm” includes “significant habitat modification or degradation where it actually kills or injures wildlife by significantly impairing essential behavioral patterns, including breeding, feeding or sheltering.” 50 C.F.R. § 17.3(c). “Harass . . . means an intentional or negligent act or omission which creates the likelihood of injury to wildlife by annoying it to such an extent as to significantly disrupt normal behavioral patterns which include, but are not limited to, breeding, feeding, or sheltering.” Id. “Congress intended ‘take’ to apply broadly to cover indirect as well as purposeful actions.” Babbitt v. Sweet Home Chapter of Cmtys. for a Great Or., 515 U.S. 687, 704 (1995). The 5th Circuit addressed the following issue: "[W]hether the actions of TCEQ in administering licenses to take water from the Guadalupe and San Antonio rivers for human, manufacturing and agricultural use foreseeably and proximately caused the deaths of whooping cranes in the winter of 2008–2009." The Court reasoned that "[p]roximate cause and foreseeability are required to affix liability for ESA violations." In other words, "strict liability, unlimited by causal connection" is not the standard for determining ESA liability. The Court cited Sweet Home for the proposition that the "ESA prohibits 'takes' so long as they are "'foreseeable rather than merely accidental.'" 515 U.S. at 700. Applying the proximate cause standard, the Court held in favor of TCEQ, because "[f]inding proximate cause and imposing liability on the State defendants in the face of multiple, natural, independent, unpredictable and interrelated forces affecting the cranes’ estuary environment goes too far."